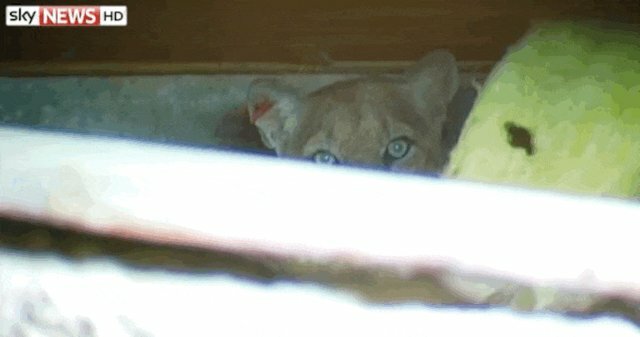 Los Angeles construction workers got a big surprise on Monday when they found a full-grown mountain lion staring at them from under a house. 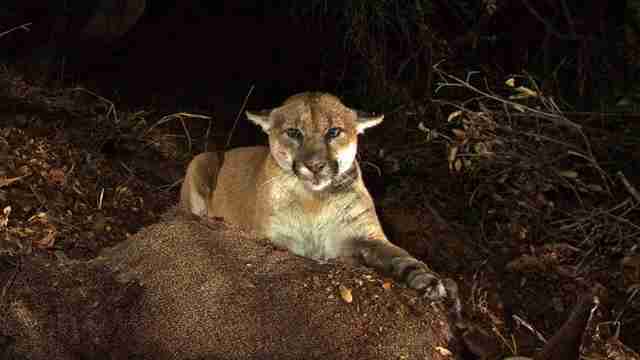 The mountain lion, known as P-22 to officials, had apparently taken up residence in the cozy crawlspace of the home's foundations. 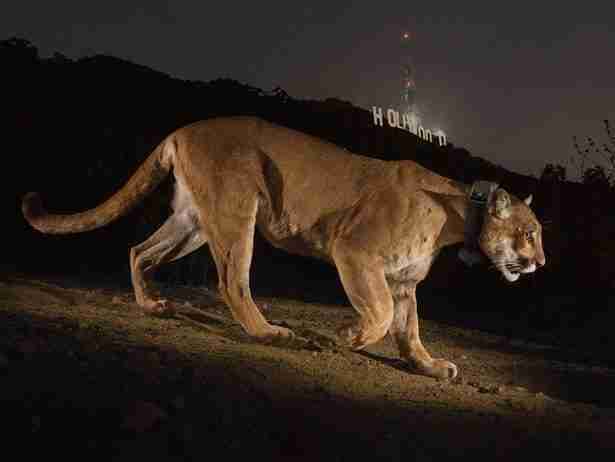 P-22 is something of a local celebrity, having been photographed prowling in front of the Hollywood sign and looking out over Los Angeles's city lights. He even has his own fan page. He's also been a walking example of the many threats facing California's big cats; last year, he had to be treated for poison ingestion, likely after coming into contact with rodenticide. His latest brush with humans had its share of drama. Officials with the California Department of Fish and Wildlife (CDFW) spent several hours on Monday trying to coax the big cat out, even shooting tennis balls at him, with no luck. "We're going to be really still and give him time to get out of there," Janice Mackey of the CDFW told U.K. media outlet Sky News. Fortunately, the "wait-and-see" approach seems to have worked. 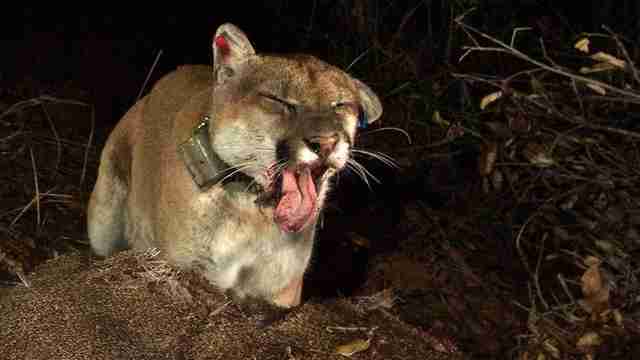 As of Tuesday morning, the CDFW reported, P-22 seems to have gone on his way.